An international research collaborative led by the Ikerbasque researcher Luis Hueso has developed a photovoltaic cell in which magnetic materials such as electrodes are used for the first time to provide current. 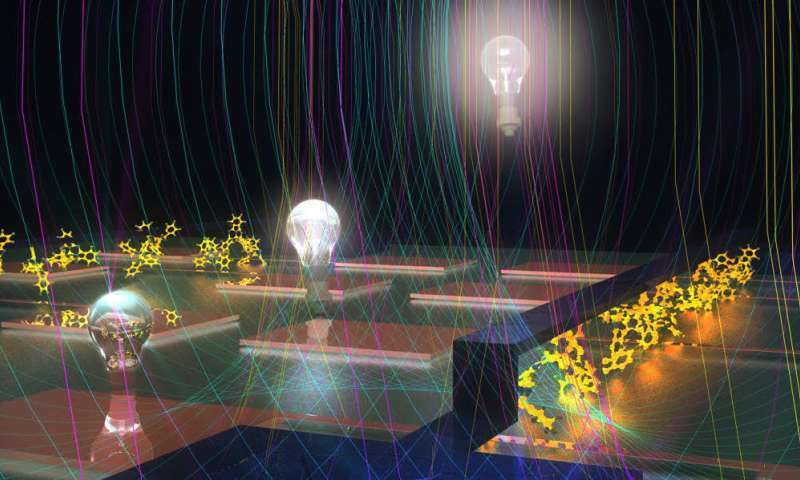 The journal Science reports on the results of this research which, according to Luis Hueso, "is opening up a new channel for converting light into electrical power more efficiently." As the nanoGUNE researcher explained, "the device is simply a photovoltaic cell manufactured from an organic material (fullerene C60) and fitted with cobalt and nickel magnetic electrodes." Fullerene C60, also known as buckminsterfullerene, is a ball-shaped molecule comprising 60 carbon atoms. The magnetic electrodes produce current with an added property known as spin. Fullerene is known to be a photovoltaic material that could allow the spin direction to be controlled. The use and control of this property allows researchers to increase the efficiency of the solar cell, thus making it capable of generating a bigger current. Hueso said, "The spins of the usual solar cells are 'disordered,' but thanks to magnetism, we have managed to 'order' them so that a bigger current can be collected." The researchers have confirmed that the use of electrodes of this type increases the photovoltaic efficiency of the device by 14 percent. The device has another advantage—it is capable of directly generating alternating current, which is much more useful in applications than the direct current generated by standard solar cells, as transformers are no longer required. "The reversal of the current takes place in the device itself, when the electrons created by the light interact with the magnetic contacts whose spins have been ordered," explained Hueso. Though the researchers have demonstrated that the use of magnetic electrodes allows the efficiency of the photovoltaic cells to be increased, they insist that they are still a long way from obtaining an optimum photovoltaic cell. With this aim in mind, they are working on building similar devices using organic materials that have already shown themselves to be more efficient than fullerene. The researcher said, "In the future it will be possible to build a commercial device that acts as a solar module and produces alternating current directly."